Me--Um, my fertility just returned. Me--Gus is only 3 months old. NFP is going to require a LOT of abstaining. Me--Well, what do you think? Mr. Red--I think it’s time to jack-up the Netflix subscription - I’ll need the unlimited plan. B-Mama had a great post regarding one aspect of what I was planning on touching on today. It is all too easy for us Moms to feel serious, burdensome guilt. It is a tremendous tactic of the devil. On the flip side, it is also so easy for us to judge others. The ivy league competitor in us has always had a means by which to compare ourselves with others. Test scores, grades, athletics. We could always see how we measured up with others. I am often uncomfortable without feedback, without knowing how well I did something or getting a pat on the back. But what a far cry this is from the Christian way of life! We have but one judge and one savior and must seek to do everything for His glory. I don't think I realized how quickly I could pass judgment until I became a mother and felt the Mommy guilt myself. I had a mental list of "things I would never do" with my kids. (Ha, all seasoned mothers can laugh at such a thought!). The biggest shock to me was being unable to nurse my babies despite extreme efforts to do so. Before babies I was trying to decide if I would EVER give my child a bottle or a binky. It was a hugely humbling experience not to have these choices. However, I felt so judged by other mothers every time I had to feed my baby a bottle in public. With my first baby, I would find a way to work it into the first 2 minutes of conversation that I couldn't nurse so that I wouldn't be deemed a "bad" mommy. With Jack-Jack, it was a huge mortification for me not to justify myself to other moms and to try to humbly give my silence to God. I recently met a sweet woman at our new parish who managed to work into our conversation after just a few minutes that she and her husband had been trying to have a baby since they were married, but it was not God's will yet. It was so painfully obvious that she was afraid of being judged by me, a young Catholic mother. "The person who is always seeking the approval or applause of others can easily deform his own conscience. The rule of action then becomes what people will say, rather than the will of God....the first thing we have to do with our actions is to please Christ...human judgments are often wrong." How true this is! Last week I was complimented leaving the Blessed Sacrament chapel around 10am for bringing my two boys. Little did the woman know that far from being the recollected and sweet mother that she was imagining, I desperately needed to make a visit as I had already spent the early morning yelling at a grumpy toddler and feeling sorry for myself with my husband out of town and was just trying to get my day back on track. Our judgments are often wrong. St. Paul tells us that, "I will not even pass judgment on myself...The Lord alone is my judge." So often we want the admiration of others here and now! Fernandez reminds us of how the Gospel reading of the Pharisees tells us, "The have received their reward." He goes on, the Pharisees, "got what they wanted: a glance of approval, a gesture of admiration, some words of praise. And shortly there would be nothing left but dust, and nothing at all for eternal life. What a terrible failure to lose so much for so little!" We must be so mindful of our intentions. There is nothing wrong with making a fancy birthday cake or using baby sign language as long as we can sincerely say that we are doing it not to show off, but to glorify God through the service of our family. (This coming from a former cake decorator!) We must not compare ourselves with or judge ourselves against others. But rather, let us encourage each other in our unique circumstances, with our unique gifts, to "do everything for the glory of God." In the comments on Mother's Guilt, we were discussing not having a manual or to-do list for raising our children. One of my highest priorities is to pass on my faith to my children, but I often wonder if I am prepared for this awesome task. PT is a natural skeptic, but I have found that reading this book, Catholic Truths for Our Children has really helped me to answer his questions, as well as to work matters of doctrine into conversation where appropriate. This is also a great supplement to the religious ed program we are using. Recently, we attended a wedding at an Episcopal church, and I was able to talk to the children more comfortably about why we don't genuflect in this church. Before reading this book, I was hoping that I could just keep my kids under my skirt for long enough and I would not have to answer the tough questions. The author makes the great case, however, of the future college roommate who may be an evangelical well versed in his faith and prepared to question every thing your child has believed. I saw so many young people leave the church because the evangelicals were, frankly, more bold in their faith and better prepared to explain it. We Catholics are the heirs of the one true Church of Jesus Christ and we need to arm ourselves and our children to bear witness to that truth, to defend our own faith and, when God calls, to share it with others. Note: I am using what I am learning from this book to talk to my six year old, but I will continue to use it for his entire life, touching on different points in different ways as appropriate to his development. This book also gives lots of bible references, so it is particularly helpful in apologetics with our Protestant brothers and sisters. What is it about mothers and guilt? Why do we so often fall victim to the ease of comparison and competition? I have been pondering these thoughts lately, especially after considering Kat's post yesterday regarding birthday parties. I have HUGE motherly guilt associated with the celebration of my kiddos' big days. But why? They feel loved; they feel appreciated; they feel special on their birthdays. So why the need to own up to some standard, some far-off achievement of the biggest bash on the planet with every themed ornamentation, showcase of creativity, and birthday menagerie? Why as a young mother did I feel like my children had to keep pace with every milestone others' children achieved? I knew full well that all children develop at their own pace and end up reaching the same developmental outcome by age five. Yet I continued to do it. Mommy guilt. I admit to being rather competitive, but is this issue pervasive among less-competitive mothers? And does it wane with the addition of each child and the understanding by a mother that she really can't do it all? Or just that she can't meet the unreasonable expectations put in place by irrational thinking and planning? I spoke with a new mother yesterday, who shared of her experiences in the first two months of motherhood. She commented on having to limit time on the phone with a really organized friend (also a new mother) due to the feelings of inadequacy that would result from their conversations. I hastened to discourage her immediate sense of guilt and comparison. "Don't do it, " I said, "Whatever you do, don't allow yourself to fall into the trap of mother guilt. It's always there. It's always working against us." Mother guilt is sinful and we, mothers, need to pray for greater enlightenment; for strength to endure particular seasons of motherly guilt so that we can truly fulfill our vocations to the best of our ability. No more. No less. I will pray for all mothers today. I will pray for you. Check it out! Let's hope the excitement over Benedict's visit is a real revival of Catholicism in America. Today, I'm asking for some advice from all of you experienced parents out there :) Tomorrow, our C turns 4 years old (I can't believe it! ), and we're having a birthday party for him in the late morning/early afternoon. My plan is to let the kids play for the first 30-45 minutes, and then to move on to pizza and birthday cake. Any thoughts on activities or games for the children, or just on what has worked for your family in making a birthday party enjoyable and fun (rather than stressful)? TM: Do you like to eat as much as I do? I'm so pleased to find that two great seasons--a new baby on the horizon and the spring--are coinciding currently in my life as a mother. Both have the effect of making me slow down and savor the moments of the day, with my children and my husband, with our Lord, and with the world around me. Most of the time, my instinct seems to be to rush through the day with an agenda, not always because there is so much to do, but because I'm lonely, or restless, or extroverted, or type-A, or whatever other excuse. It takes a conscious effort for me to slow down and enjoy each moment. With a new baby coming, I feel like a chapter of my life with Bella and Bean is coming to a close, so it's easy (and a little bittersweet) to sit in the rock garden or in under a tree with them and laugh and feel no urge to rush anywhere or do anything educational or "productive" while we're sitting there. Bean loves dirt and bugs and worms, Bella loves flower petals and butterflies and rabbits, they LOVE goofing off together while I watch them, and that's been our only agenda every afternoon. And the spring always makes it easy to "just be" outdoors and take in the splendidness of God's creation. But again, it often seems to take a particular season (or two) like these to make it easy to stop and savor the small moments. Do you have particular places you go, things you do, habits you cultivate, reflections you ponder that help you slow down and "smell the roses" day to day? Gianna emerged from our backyard today with this bouquet. "These are for you mama!" she said. Juris Mater is just a few days shy of her due date, April 30th, and we are all awaiting the arrival of her newest little guy or girl. Our prayers are with Juris Mater for a healthy and safe delivery of her newest little bundle. While we wait, I thought it would be fun to have a little contest. Who can best predict the date, time, birth weight, and gender of her baby? I will give our naive readers one helpful tip: poor Juris Mater has gone terribly overdue with both of her previous pregnancies. She just recently reported to me that at 39 weeks, baby is still up in her esophagus ;-) So your a real risk taker if you place your bet on any day before April 30th! The prize--bragging rights of course! We will announce the winner after baby arrives. "The main goal of the early school years is to learn the basic skills of reading, writing and simple arithmetic. These are the first tools for any further learning. The subjects you use to acquire and practice these tool are, in a sense, secondary. This is so much the case that eh mother of a large number of homeschooling children who is able to do only religion, readin, simple arithmetic and basic letter formation with her youngest grades should not worry that they are educationally neglected. The natural stimulation of a busy household will supply for hte other subjects. Once a child can read, he is able to be an independent learner." -- Laura M. Berquist, "Designing You Own Classical Curriculum"
"Consider, instead of tha model perfect home, one which is bursting with beauty and ideas. It may not be as big and it is almost certainly messier than the House Beautiful home, but there is lots of learning going on there. There is a learning room full of things that foster creativity: Lego building blocks, Playmobil figures, dressup clothes, paints, paper, writing and editing programs on the computer, dolls, blocks, and books, lots and lots of books." My family was hesitant when I pulled my 5 year old out of school -- in many ways, so was I, but I knew one thing: school was not working for him. I wanted him to have a living education. He was a child who loved to learn, and I did not want to see that love be snuffed out. Also, he was exhausted. He was getting up early to go to school all day, participating in after school activities, doing homework and going to bed. There was no room in his day for free reading, free thinking, open ended play activities, or family time. In the year that we have been home, I have found that we do school from about 9-12 most days and we accomplish a lot. We read wonderful living books together, bedtime stories are treasured. We spend lots of time outside. The kids have quiet time after lunch, and PT reads, sometimes things I have assigned him, but mostly things he has chosen. Right now, he is reading the Golden Children's Bible. He loves to come down afterwards and tell me what he has been reading. Yesterday he narrated back all of the dreams that Joseph interpreted in the Old Testament. Also this year, my five year old daughter has learned to read, print her letters and do basic arithmetic, the twins have played and played and been read to and run around and laughed and danced and made messes. The baby has been surrounded by love and family. When the weather is fair, we get together on Wednesday afternoons with our local homeschooling group. This socialization is wonderful, for me and for the children. We have also done gymnastics in the fall and winter and now we are doing little league. All of the kids did two terms of drop off story time at the library with no separation issues. It is amazing what kids will invent when there is no TV available -- our time has become so much more productive, since even outside of "school" time they are often choosing school activities, recently pattern blocks have been a popular choice. Edited to add: A link to an old post about my homeschool life, including Q&A from my neighbors and a description of our day and methods which is still surprisingly accurate. Happy Earth Day to all the crunchy folks out there! 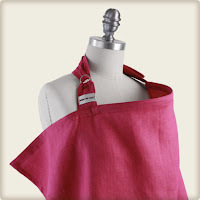 In celebration of the planet, the creators of Bebe Au Lait nursing covers have launched the new "Simple" line of fantastic Hooter Hider covers made from Organic Cotton. Savvy mamas now have the option of "going green" with the new cover, featured in a variety of colors--raspberry, peacock, buttercup, steel, and willow. I can't wait to pick up one of these before our next bambino! Enjoy! Did you know that 96% of school age children recognize Ronald McDonald? Only Santa Claus ranks higher. I read Fast Food Nation back in January. One argument the author made, which I found very compelling, was that all T.V. ads aimed at children should be banned (not just fast food ads, but ALL ads). According to the author, a country in Europe has actually passed legislation banning such ads. The argument is this--kids under the age of reason don't understand the concept of an ad. Children take the information they see and process it as though it is fact. If a kid doesn't understand that an ad is an ad, they make the perfect customer. Ripe for the picking, children are suckered into thinking they want all kinds of unhealthy things. Obviously the parents then have the difficult job of saying "No, No, No" or, more importantly, turning off the television. But isn't it at least mildy unethical that large companies spend loads of money convincing children under the age of 7 that they want and need various products? And, guess who does the dirty job better than ANY other company, except maybe Disney--McDonald's. McDonald's has perfected marketing their products to children. In addition to Ronald McDonald, play lands abound, and those nifty little toys and dolls that come in the happy meals seal the deal. Some of the parents in my co-op, upon seeing the above student project, stated that they take their children to McDonald's just to play. "You mean you don't buy anything?" I asked curiously. "Well no," they answered, "except a soda and some fries." ****Update--one of our readers informed us that there is an organzation that wants to limit advertising aimed at children. Check out the Campaign for a Commercial-Free Childhood. Ok, this is not exactly a deep Gospel commentary, but I have reached a huge stepping stone. I wear make-up to go to mass. I hate make-up. I was as reluctant to wear it to prom as I am now. I hate the way it feels. I am much more inclined to go for a run than to go to a fasion show. But...an in utero baby sitting on a nerve that allows only 45 minutes of sleep at a time, plus three years of mommy sleep deprivation, added to a year of working on the '04 elections, preceded by 4 years of Princeton have apparently left their mark. Mainly in the form of dark circles beneath my eyes. So I bit the bullet. I started putting on make-up. I have given this some thought, because I don't like to wear it. I am not doing it with a fly-lady-get-dressed-to-the-shoes mentality, but rather, to show that I can look like a resonably put-together mother who takes joy in her family. I'm not trying to hide the fact that I'm tired. Just trying to put my best foot forward and show that I respect those around me. Does this sound crazy? Please tell me I'm not the only one who has reached this point!! things so nothing can divide us. When I came downstairs this morning, bleary-eyed and wishing that baby Maria had decided to sleep just a little bit longer :), I saw that ET had stayed up late last night to tackle two enormous baskets of laundry. Now that's what I call "working love into practical things" - thank you, ET! How nice it is to know that the dreaded task of folding that laundry has now been lifted from my shoulders! I love this prayer because it gets right to the heart of what I think marriage is all about - finding ways to work our love into the practical realities of daily life so that they unite rather than divide us, asking for the grace to forgive and be forgiven, to speak words that are kind and loving, to place our marriage into Our Lord's hands every day. I hope that this prayer will be a blessing to you today, too! A field, a frolic, a tumble. Vaccines, what's a parent to do? I was wondering if you would post information or discussion about vaccinations or what you have learned with your kiddies. I wrestled with my first one about them and after research, prayer, and conversation decided to continue with them. Lately, I have some friends who are very ANTI-vaccine and have pushed the issue with me. I have heard a lot lately in the media with the link to autism and then was sent this article today (article omitted). Reading this makes me NOT want to continue....but very curious to know other discussion or views on it. Thanks...and God Bless and thanks to all of you for your open blog where we can share and learn from one another! The vaccine topic is huge. HUGE. There is a tremendous amount of information out there about vaccines, and unfortunately, much of it is sensationalized and lacking in useful or accurate information for parents. I’m going to humbly attempt to address this topic by breaking the issue down into two distinct topics: 1) What does the Church teach about when a parent can ethically vaccinate their children? and 2) Should parents vaccinate their children, from a medical/health perspective? This post will address only issue #1 and I will save issue #2 for another post. Please keep in mind that I am not a doctor, nor do I have any formal training in moral theology. I am simply a mom who has read a lot about this topic and, like the rest of you, is trying to make decisions in the best interests of my children. As some of you may already know, various vaccines are derived from the use of aborted fetal tissues. In the United States, the vaccines for Rubella, Hepatitis A, Chicken Pox, Polio, Rabies, and Smallpox are all derived from aborted fetal tissues. In the US, (as of 2005) there are no options for ethically acceptable vaccinations against rubella, chickenpox, and hepatitis A. (Ethically produced alternatives do exist for polio, rabies, and smallpox.) Ethically produced alternatives also exist for rubella and hep. A in other nations, but not in the US. As of 2005 there was not an ethically produced vaccination for chicken pox anywhere. In light of these facts, the Pontifical Academy for Life, a commission of the Congregation for the Doctrine of the Faith, issued a statement in 2005 entitled Moral Reflections on Vaccines Prepared From Cells Derived From Aborted Human Foetuses. To date this is the best and most relevant church document on the topic of vaccinations, and in my humble opinion, a must read. ...doctors or parents who resort to the use of these vaccines for their children, in spite of knowing their origin (voluntary abortion), carry out a form of very remote mediate material cooperation, and thus very mild, in the performance of the original act of abortion. Put simply, the Church teaches that by using these vaccines, you are not intentionally advancing the evil of abortion, and your unintentional contribution to the problem is very minimal. At the same time, however, we have a duty to combat the evil of using babies to make vaccines. Therefore, doctors and fathers of families have a duty to take recourse to alternative vaccines (if they exist), putting pressure on the political authorities and health systems so that other vaccines without moral problems become available. They should take recourse, if necessary, to the use of conscientious objection with regard to the use of vaccines produced by means of cell lines of aborted human foetal origin. As regards the diseases against which there are no alternative vaccines which are available and ethically acceptable, it is right to abstain from using these vaccines if it can be done without causing children, and indirectly the population as a whole, to undergo significant risks to their health. So the document, in effect, provides a balancing test of sorts for parents questioning the use of an unethically produced vaccine. The more serious the disease, the more morally justifiable is the parents’ decision to vaccinate. The less serious the disease, the more likely a parent should choose an alternative route, such as conscientious objection. This distinction has played out in our personal family decisions. We chose (or will choose) to vaccinate our children against rubella (although for medical reasons I will discuss in a future post, not until they are older than 3), because we feel that rubella poses a significant health risk to the general population. Luckily, my pediatrician does not routinely recommend the Hep. A vaccine for children, so I don’t have to make a decision on the Hep. A vaccine. By contrast, we have decided against giving our children the chickenpox vaccine because we do not feel the disease is a grave enough threat to public health to warrant cooperation in the evil of abortion. Although, I will confess that I did give the vaccine to Gianna prior to my knowledge of this issue. Charlie did not receive the vaccination, Augustine will not receive the vaccination, and none of my future children will receive the vaccination, unless the drug companies develop a line of vaccines that are not derived from aborted fetal tissue—or our conscience changes through more prayer and research. Our family has made this decision in light of this Church document, other information we have gathered about vaccinations (topic of a future post), consultation with our pediatrician, and prayer. And of course, we make no claim of infallibility. I think this is one of those issues where there isn't necessarily a "right" choice that applies to every family, particularly since individual health concerns are going to be different for each family, and perhaps different among siblings of the same family. In summary, I think it is important that all parents take this issue seriously. We, as Catholics, have a duty to properly form our conscience. Just following the vaccine schedule of your pediatrician, no questions asked, is probably not enough to properly form your conscience on this issue. While it may not be possible to read every document on a given topic, and it may in fact be difficult to wade through the sea of information about vaccines, we must at least make an effort to educate ourselves about the moral issues involved in the debate. Then, through prayer and consultation, make the best decision for each of our children. In the coming weeks I will do another post on the health/medical concerns involved with vaccinations...stay tuned! If you are not already reading them, I would really recommend the book series Conversations with God. These books give short (2-3 pages) reflections on the mass readings and related themes for each day of the liturgical year, with quotes from church fathers and great Catholic thinkers and lots of real life advice. As a busy mom, this is a great way to get some spiritual reading in most days even when time is very short, and since things are nicely digested I seem to get alot out of it even when I am tired. You might think of these as great homilies, and you don't have to keep your kids from squirming! Anyway, yesterdays reflection on Good Shepherd Sunday was a timely reminder that we should be praying for and offering loyalty and love to our pope, who is the Vicar of Christ. One thing that struck me in particular is that God has given authority to the current pope, so it would be incorrect to be longing for the previous one or hoping for the next one. I recall that Peggy Noonan, the Catholic editorialist, was very fond of John Paul II (she was not alone in this, of course), but I think she has been, in the past, too nostalgic for the personality of his pontificate. In this week's WSJ, however, Peggy does a nice job of outlining her increasing respect and affection for Pope Benedict. I, personally, have had a great fondness for this Pope ever since I listened to a dramatized version of parts of a very long interview which Cardinal Ratzinger gave to an agnostic journalist, I beleive one who had fallen away from the Church. I heard it on retreat and do not know the exact source, if anyone is familiar please point us to it in the comments. 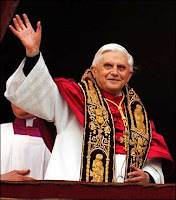 Pope Benedict arrives tomorrow. When he lands, President Bush will greet him at the airstrip. He is the first head of state the President will greet at the airstrip. Here is a transcript of the interview of President Bush about the Papal visit, courtesy of Raymond Arroyo, News Anchor for EWTN Global Catholic Network. UPDATE: For those of you interested in the video, rather than just the transcript, click here. This weekend we had the great joy of baptising our son. A small group of family members gathered in the chapel of our Church after the Mass for Good Shepherd Sunday, and there our son was given his name and was baptised, anointed and clothed in Christ. Afterwards, we had a little luncheon and cake, which the kids kept calling "Leo's wedding cake." When my children are baptised I am mindful of the fact that I am choosing the Church for them now, but later they will have to choose it for themselves. I pray that if marriage is Leo's vocation, many years from now, he will still be close to the Lord and that the cake we eat that day will be a celebration of a Sacrament. I can’t imagine a child who’s more into dressing up and costumes than my almost 3-year-old Bella. She’s also HIGHLY opinionated about fashion and loves animals. Do your kids ever have just the right things to say to make you feel like a million bucks? The USCCB has a great website devoted to the Holy Father's visit to the United States next week. There is a "Teaching Resources" section that has lesson plan ideas by grade. Just in case anyone is interested! Dash always gets so excited to see the Pope on TV. There is also a new blog called First Heralds to check out about teaching toddlers about the Catholic faith. Alright, I’m going to take the parenting philosophy discussion to the next level. While I like the basic premise of Danielle Bean and others that we should all “do what works for our family,” I’m going to dare to say that the full-blown AP approach is actually harmful to families and should not be practiced by good Catholic parents. (Gasp!) Before I proceed, please allow me to emphasize that I do not speak on behalf of the other builders or anyone else with whom I am associated, except my husband who is even more extreme than I am. I’m sure many of you are familiar with the Heart, Mind, and Strength Blog. If you’re not, they are a hard-core attachment parenting website, strongly advocating that AP is the one and only Catholic way to parent. Several months ago, Danielle Bean and Greg Popcack, Mr. Catholic AP King, debated about AP and whether it was or wasn’t the best way to parent. Many of the builders here followed the debate. Danielle Bean thought that many of the AP principles were all fine and dandy, but wondered how these principles could actually be practiced with a large family and with many babies closely spaced together? Greg Popcack actually stated that responsible parenthood required that a woman have children no closer together than every 2.5-3 years.. If AP didn’t naturally space babies this way, well then I guess a couple was “required” to use NFP to space babies this far apart?!? Upon reading this, red flags were immediately going up in my mind, as I question any philosophy that recommends a specific “spacing” for every family. But on to my deeper criticisms of AP. Ultimately I believe the philosophy is child-led, rather than parent-led and it assumes that every want a baby experiences is good and should be met by the parents. Not meeting these wants means the mother and father have failed the child in some respect. The fundamental problem with this approach is that babies are born with original sin. While they are cute and adorable and very innocent compared to adults, the Church teaches that they are tainted with original sin, and so every desire of a baby is not necessarily a good that should be met by the parents. From the moment that a child exits the womb, parents must strike the delicate balance between comforting a child and building virtue through discipline. Every family will strike a different balance here, and many factors will affect the parents’ decisions. But strike a balance we all must do. Another problem with AP is what it does to men. I’ve seen this scenario too many times. Man and woman get married. Man is supposedly head of household. Baby comes. Mother AP’s baby. Baby takes over family and marriage. Baby sleeps in bed and is comforted or nursed at every slight indication of baby’s displeasure. Dad leaves bed for couch. Man goes to work bleary-eyed wondering what happened to his life, and whether he’ll ever see his bed or wife again. This goes on for years and sometimes over a decade in AP households. Instead of the old-fashioned Dad-Mom-Kids hierarchy where the marriage takes priority, you get the Kids-Mom-Dad hierarchy where the kids’ (often irrational) needs take priority. The attributes that men typically bring to family life—such as discipline, tough love, and objectivity—are cast aside as “selfish western values that thwart the mother-baby relationship.” In effect, you get an overly emotional and feminized brand of parenting that has no place for traditional fatherly input. Please do not misunderstand what I am saying. I am not criticizing those that choose to feed on demand. I am not criticizing those that sleep with their babies. I am not criticizing those that chose to carry their baby in a sling, nurse their kid until they are 3 years old, or refuse to use a pacifier. Choosing to adopt one or a few of these AP principles is fine by me. What I am criticizing is the full-blown AP approach that people like Popcack endorse and consider the only good Catholic way to parent. I am contending that it is not the only way, and in fact, when taken to its extreme, it is actually a bad way of parenting. Yes, do what works for your family. But when doing so, be on guard for the dangers of closely following an AP philosophy. I found this post necessary and important because so many Catholic communities are inundated with AP thoughts and practices. So many Catholic parents think that AP is the ideal, and they then feel guilty when falling short. This guilt is misplaced. You shouldn’t feel bad that your family functions on a regular schedule, your baby occasionally cries it out, your everyday life is more predictable, and you and your husband sleep well (and occasionally, together) because your kids are not in your bed. Please note that this post is not meant to be comprehensive, and if there are particular questions or concerns about the positions I’m taking, I’d be glad to flesh them out. But since we were on the topic, I couldn’t resist giving my two cents. For those of you who have been tracking with us for a little while, you may remember my woes with our beloved three-year-old, "M", just weeks ago. I had been pushed beyond my motherly threshold with his frustrating defiance and stubborn resistance. In return, you all offered gracious advice and reassurance, to which I clung during the woeful hours. Thank you again for passing along your wisdom. How did I accomplish this small miracle? You ask. We prayed a lot, talked a lot, worried a lot... and then it just vanished. Such ebbs and flows in children are a miracle of parenthood, in my opinion. They are the lifeblood of a new mother, nursing her infant in the wee hours of the morning, knowing there are more restful days ahead (unless she's a first-timer!). They are the source of hope for the parent battling stubborn will and insolence, knowing such traits will oneday define their child for the better (we hope!) They are the light at the end of the tunnel for all things toddler and teething and troublesome. I sometimes find myself resenting change like this as it brings on a new way of life and new experiences when I am happy in my current rut and schedule. For example, the dawn of the transition from two naps to one nap for a baby is enough to throw any mother into a tizzy at the loss of morning free time. But soon she might begin to appreciate all the goodness God packs into change; all the hope, comfort, and potential joy wrapped up in transition. She will go from being homebound to having freedom to explore the world with her child in the morning hours. Life will take on new shape and form and she will soon see that it is good. Change is for the good, especially when it involves moving from worse to better. Especially when it involves going from the hopeless feeling of "will this go on forever?" to one of "okay, I can make it through this..." Change is Divine, in my opinion, and we are definitely loving our blessing of change here these days. That is until our next transition into the "terrible twos" for our youngest. Nothing we can't get through, right?! God bless you! Rather than hash out which way is The One True Holy Catholic and Apostolic Parenting Philosophy (I think it takes about 2 minutes of motherhood to convince any sensible woman that there's no One True Way for every family), maybe we can do it this way... what is your parenting philosophy and why does it work great for you? Personally I lean heavily toward routines, and I was this way from the beginning. My epip hany came, as most of my epiphanies do, on the stairmaster in the gym. I was 7 or so months pregnant with my first baby, diligently reading La Leche League's "The Womanly Art of Breastfeeding" to learn how to breastfeed, which I knew I wanted to do. I was proud to be carrying a book with a cover that featured a baby latched onto a huge breast into the university gym where I was exercising. Halfway through my workout, I came to a section about the sacrifices that nursing required, according to LLL. No pacifiers and no relief bottles. No time away from the baby, no babysitters. Exercise might increase the lactic acid in mom's milk and upset baby's stomach. And, worst of all, there were some gut-wrenching anecdotes. One written by a nursing mom about taking her baby to her yoga class to nurse her on demand. A couple other preachy ones about how nobody is entitled to a good night's sleep, and the sign of a maturing mom is that she can be awake all night nursing and soothing a baby and accept it with a smile. When nursing and motherhood were put at odds with the outlets I knew I needed like exercise, some rest, and time out with my husband, I felt, for the first time during my pregnancy, unsure about motherhood. Once my wits came back, I recalled a passing suggestion from MaryAlice and Red about Babywise. I devoured every word of On Becoming Babywise, scoffing along with Ezzo at the poor attachment parents who let their babies walk all over them 24/7; attachment parents who are themselves to blame for creating demanding babies (and bratty kids) who are poor sleepers and vomit constantly from overfeeding; attachment parents who go against Biblical principles of training up a child and directing his way by refusing to implement routines for their babies' well-being; attachment-parenting couples who allow the unreasonable demands of their babies to hijack the well-being of their marriage and their whole family. I was Babywise ALL the way, as a moral and spiritual imperative. WAY over the top, and MUCH mellowing has occurred since my first child was born!!! Funny how that happens : ) I totally believe that parenting style has to do with parental temperaments and family needs. All in all, though, a Babywise approach has worked great with both of my kids. Bella was a good sleeper from the beginning and fell right into a pleasant routine, allowing me to finish law school with minimal stress caused by newborn unpredictability. Bean was tougher with sleep and colic and sensitivity, but I'm certain that the routines, such as predictable eating and bedtimes, have made his life easier. Crying it out is our sure-fire way to fix sleep issues, and neither child seems traumatized... only happier for achieving better sleep. Predictability (and getting some sleep myself!) have allowed me to maintain a sense of personal and family well-being while having kids close together. But how about you? Do you love cosleeping and nursing-on-demand because it gives you a built-in chance to snuggle your babies all night after buzzing around busily all day? Because it delays the return of your fertility and gives you a sense of being a part of a greater mother-baby ecology? Or do you like the order of routines and sleep and feeding schedules so that you, the baby and the whole family know what comes next? Did one way of parenting catch your eye from the beginning--was Gary Ezzo the Babywise Guy your knight in shining armor, or did you ease naturally into a more La Leche League, ecological breastfeeding, baby-directed approach. Did your baby's temperament, your family size, your husband's thoughts, or anything else lead you to modify your style at any point? How do you incorporate good principles from the various styles to keep your babies and your entire family happy and thriving? Many of you are aware of cord blood banking as decision parents can make following the birth of a child. Umbilical cord blood, containing rich stem cells, is stored for a fee, almost as a form of future health insurance in the case a family member should develop an illness treatable by stem cells. • Cord blood research is showing promising results. Although cord blood is not yet widely used to treat patients, cord blood researchers believe that it in the future it has the potential to treat some cancers, diabetes, spinal cord injuries, heart failure, stroke, and neurological diseases including Alzheimer's and Parkinson's. Private cord blood banks usually charge an enrollment and collection fee of approximately $600 to $1,900, plus annual storage fees ranging from around $80 to $100. 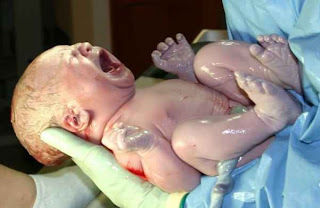 • Chances are your baby cannot be treated with his own cord blood. If your baby develops an illness with a genetic basis — and most childhood diseases are genetic — his cord blood contains the genetic instructions for that disease, so it's not a suitable treatment. Most banked cord blood is currently used to treat siblings. • You probably have a better chance of finding a stem cell match in the public cord blood system than in your own family. The chance of an exact tissue match between two siblings is only about 25 percent, according to Dennis Confer, chief medical officer for the National Marrow Donor Program, a nonprofit organization that maintains the largest public listing of umbilical cord blood units available for transplantation in the United States. In contrast, the chance of finding a cord blood match in the nation's public banks is 75 percent, he says. • Doctors aren't ready to universally recommend banking your baby's cord blood. The American Academy of Pediatrics and the American College of Obstetricians and Gynecologists have both expressed reservations about private cord blood banking for the general public because they believe the chances a family will ever need the blood are slim and because they support a public cord blood donation system (similar to blood banks). Many doctors, however, say that families with a history of diseases such as leukemia, lymphomas, and immune deficiency, among others, should consider private cord banking because their odds of needing a stem cell transplant are higher than those of the general population. • If your child belongs to a minority group, private storage may be of more value to you. According to July 2003 figures, a Caucasian patient has an 88 percent chance of finding a matching donor through the National Marrow Donor Program registry, while an African American's chances were significantly lower at 58 percent. For more information on cord blood banking, check out this site or this one. I was especially interested in learning out to publicly donate my baby's cord blood, an option many new parents don't realize is available (I never did!) --for info on this, check here! God bless! During this first year of "real" homeschooling I have been blessed with several resources that have really helped me to maintain a (more or less) cheerful attitude with my children. One has been a place called Orly's Treehouse, where there is a children's playcenter attached to a gym and salon. Since February, I have been going there for weekly manicures, and I have to say it is $12 extremely well spent, as I come out feeling refreshed and ready to enjoy the weekend with my family. We then spend friday afternoon cleaning the house and are able to spend the time that Dad is around on the weekend enjoying family activities rather than catching up on errands. The employees in the children's area go above and beyond, they are creative and fun and my children really have a great time there, so there is no guilt involved in dropping them off. The second "survival strategy" has been a wonderful grandmotherly woman who has offered to watch my children once a month while I go to confession. Mostly, she sits in my car while the children listen to a book on tape, but the regular grace of this sacrament has had a substantial effect on me. I hope that I have said thank you, but sometimes thank you does not quite seem like enough. Since there is no way that I can pay these women back for what they have done for me this year I am hoping that I will remember, when my time is more my own (that day will come, though it seems impossibly far away some days) to pay it forward. One of the things that is complicated about being a homeschooler with a large family is that most of my friends are also homeschoolers with large families, so while we have great socialization there is not much opportunity for peers to help one another -- we are all so crazy busy ourselves just trying to manage our households. However, I can encourage my children to make themselves available as inexpensive babysitters when they are teens, and I hope especially to remember this confession idea. One of the things that I have found incredible about these three sources of help lately is that they have come with very few strings or baggage and no judgement of me for needing help. More often than not, young mothers don't need advice on how to change a diaper, they need 15 guilt free minutes to themselves. I hope that someday I will be able to help with that when someone else is in my situation. Our little man is almost 4, and he absolutely LOVES getting the attention of older kids, especially older girls! He'll do just about anything that he can think of to impress the ladies - showing off his ability to hop on one foot, saying in a very loud, commanding voice, "I'm so strong that I can lift a chair" or "I have very sensitive eyes, like a cat," or flexing his little arms and saying, "Look at my muscles, grrr!" Usually this elicits a roll of the eyes from the older kids, although some of the more sympathetic girls do give C a half-smile or a "wow, that's neat". But C doesn't give up there - oh no, he wants the older girl's full attention - so he proceeds to follow the poor child around and talk her ear off until either they have to leave or it's time for us to go. Even at that point, C makes sure to blurt out some last-minute remarks in a last-ditch effort to win the her affection. On April 1, 2008 (April Fool's Day), all YouTube Featured Videos hyperlinked to the Rickroll. The prank began with international YouTube portals before affecting the main site. In addition, LiveJournal announced on the same day that they would be adding a new member to their Advisory Board, linking members to the journal "rickastley", which contains a Rickroll. Also, on the same day, Isohunt had the Rick Astley video instead of their normal frontpage, as did LyricWiki.org. Popular gaming website Kongregate also claimed to have finally launched its upcoming card game Kongai, only to leave its players not with the game, but being rickrolled. Also on the same day, the Mahalo Daily video podcast hosted by Veronica Belmont produced a Rickroll purporting to be an interview with Steve Jobs. Media search engine SeeqPod included an mp3 of "Never Gonna Give You Up" as the top hit for all searches. he also said that he will not try to capitalize on the rickroll phenomenon with a new recording or remix of his own, but that he'd be happy to have other artists remix it. Overall, Astley is fine with the phenomenon, although he finds it a little "bizarre" and only hopes that his daughter receives no embarrassment over it.